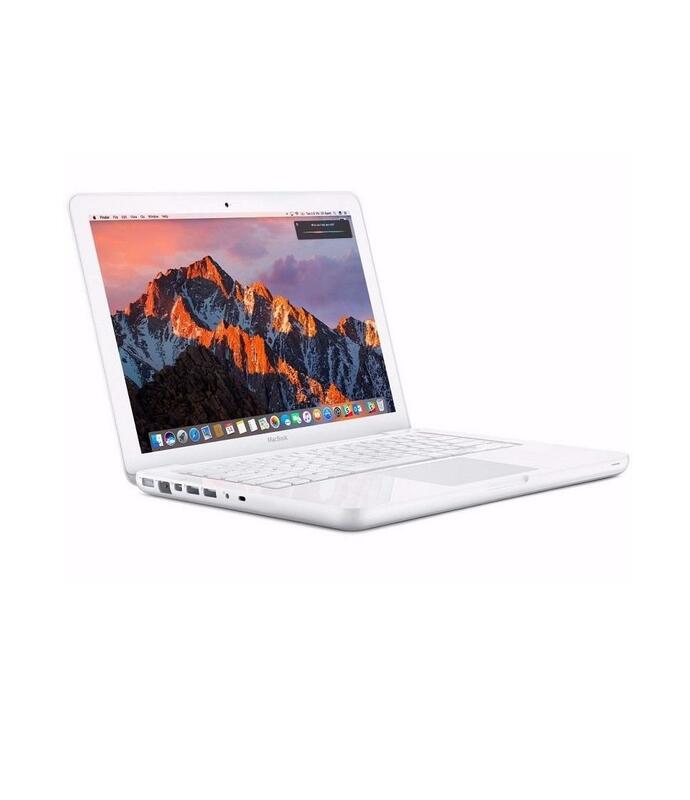 This Apple MacBook C2D 2GHz – 2.4GHz 13″ Unibody. It is in OK condition there are some signs of use. They are a great Budget Laptop. The machine has been fully tested and refurbished by Affordable Mac. If you are looking to get started on Apple Mac this is the perfect machine for you. It comes with an Apple MagSafe Charger. The MacBook “Core 2 Duo” 2.4 13-Inch (White Polycarbonate “Unibody” – Mid-2010) features a 2.4 GHz Intel “Core 2 Duo” processor (P8600) — with two independent processor “cores” on a single silicon chip — a 3 MB shared “on chip” level 2 cache, a 1066 MHz frontside bus, 4 GB of 1066 MHz DDR3 SDRAM (PC3-8500) installed in pairs (two 2 GB modules), a 250 GB Serial ATA (5400 RPM) hard drive, and an 8X DL “SuperDrive.” For graphics, it has a NVIDIA GeForce 320M graphics processor with 256 MB of SDRAM “shared with main memory” driving a 13.3″ widescreen TFT active-matrix LED-backlit “glossy” display (1280×800 native resolution). Like its predecessor, this model uses a polycarbonate “glossy white unibody” case design with a “non-skid” rubberized bottom surface. However, external improvements compared to its predecessor include a new “inertial” multi-touch trackpad and a redesigned “MagSafe” power safe connector. Connectivity includes AirPort Extreme (802.11a/b/g/n), Gigabit Ethernet, two USB 2.0 ports, a single audio in/out port, and a Mini DisplayPort that passes an audio as well as a video signal and supports an external display at 2560×1600. It does not have a Firewire port or IR to support a remote.